The “Suite Life” golf vacation pairs great golf and spacious accommodations. The Virginia Beach Resort Hotel and Conference Center (all multi-room suite accommodations) is conveniently located to all Virginia Beach Area courses. 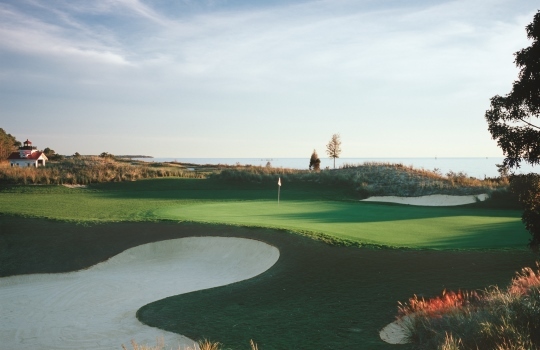 Choose from ten great courses including courses designed by Arnold Palmer, Jack Nicklaus, Pete Dye, Fred Couples, Tom Clark and many other great designers. It is the closet hotel property to the popular Bay Creek Courses in nearby Cape Charles. Spacious sites at The Virginia Beach Resort Hotel And Conference Center include separate bedroom with two double beds, living room with table, pull out sofa and bay view balcony plus kitchenette with mini-fridge and microwave. A limited number of two bedroom suites are available that include two bedrooms with each with two double beds plus large living room, balcony and kitchenette. One of the area’s most popular night spots Hot Tuna is located across the street from the hotel and another popular restaurant Chick’s Oyster Bar is located less than a five minute drive or short cab ride. Virginia Golf Vacations makes it as easy as a short par 5 with no trees and no water.